I’ll admit, I went a little bit crazy planning this party right down to the tiniest detail. But, oh did I have fun. So, so much fun. High tea was the perfect excuse for me to (finally) sew something for myself and to wear one of those dresses crammed in the back of my closet. This dress, formerly a size 10, was destined for Second Time Around but didn’t make it. This week, it took me all of ten minutes to alter and now I’m so glad it didn’t end up at the consignment store. It was fun to dress up — even Chris, our own Mad Hatter, got in on the fun! What a great dad (and great sport! ), he is. 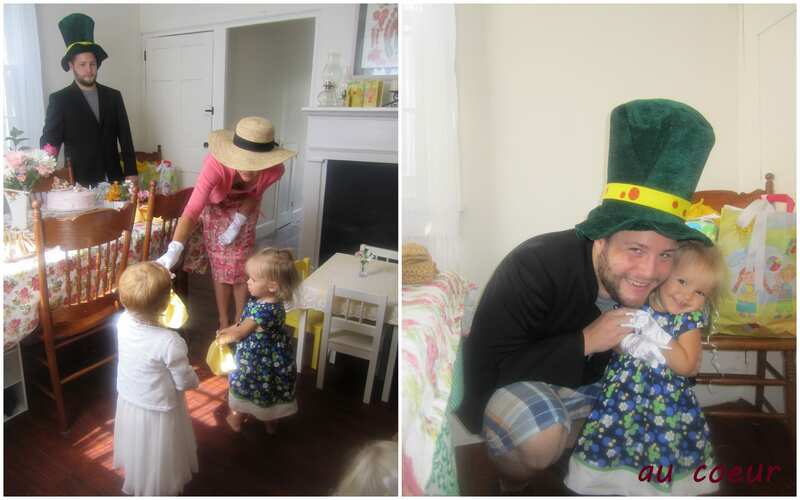 Chris was more than happy to wear a goofy hat and outfit (all his own doing), and to spend two hours in the company of other little girls and their mamas. 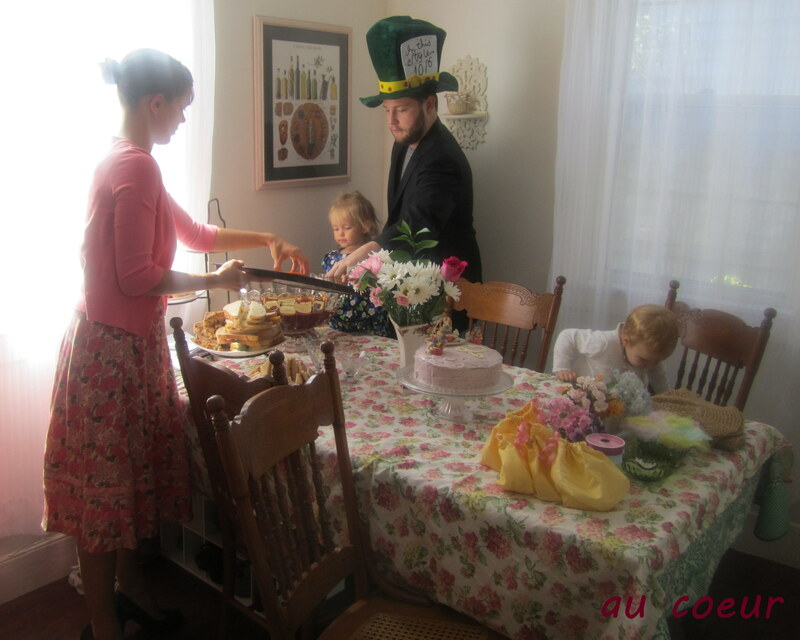 No complaints at all; he even served tea and joined in on the mommy conversation… I love my husband! 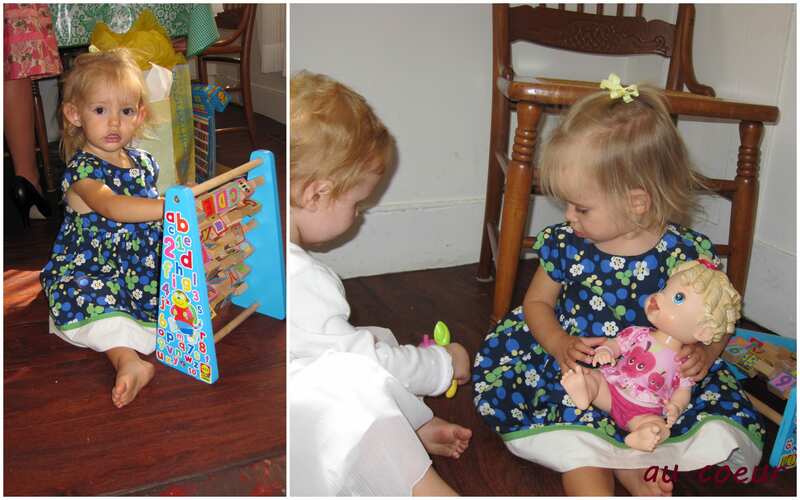 we decided to keep it small and just invited three of Nora’s two year old (or almost two year old) friends. It was sort of tough, because there were some other friends that I would have liked to have celebrate with us, but it four just seemed to be the magic number. 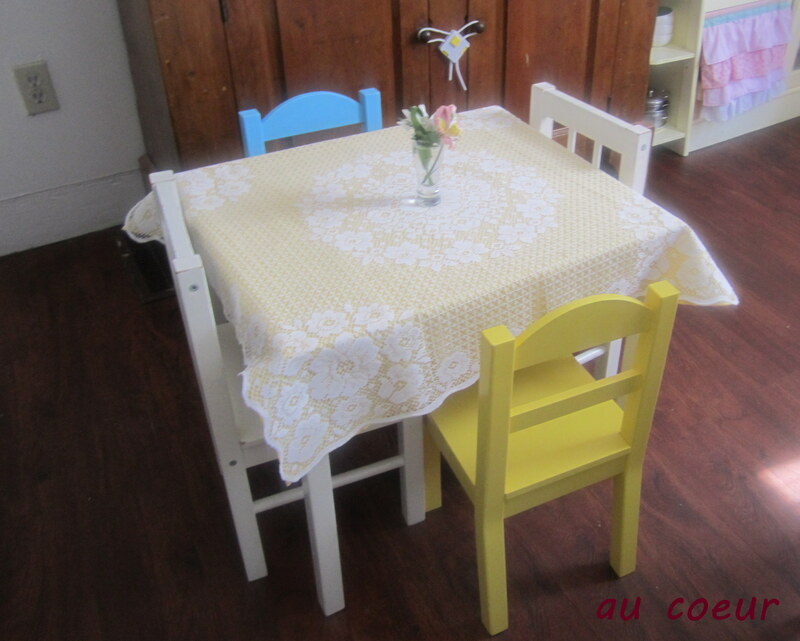 I can most surely say that there is nothing sweeter than four little tiny girls all dolled up and sitting around their own table for tea. I could have died of cuteness watching them, especially when they started clinking glasses! 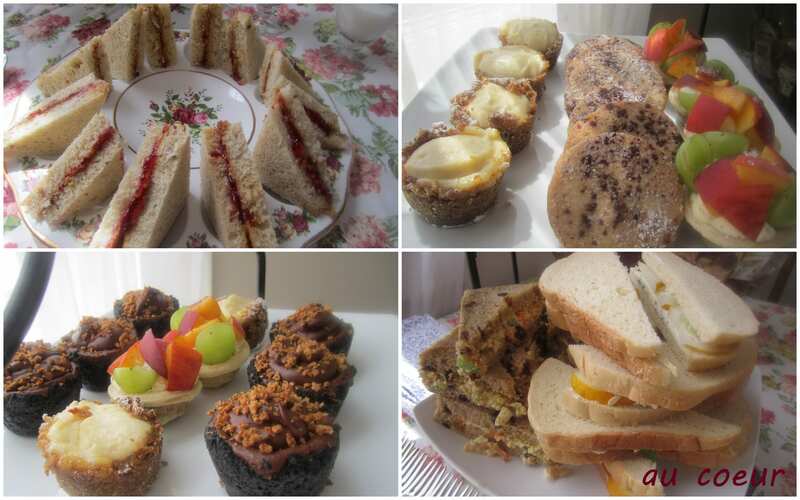 The best part about tea was how simple it was to set up and prepare for. There was no worry about fancy foods; sandwiches were the main offering, plus some bite-sized treats from our favorite bakery and a birthday cake. I made peanut butter and (homemade) strawberry jam on oatmeal bread for the little girls, plus cucumber-mint on Portuguese bread and curried tofu salad on raisin bread for the grown ups. The cake was amazing. 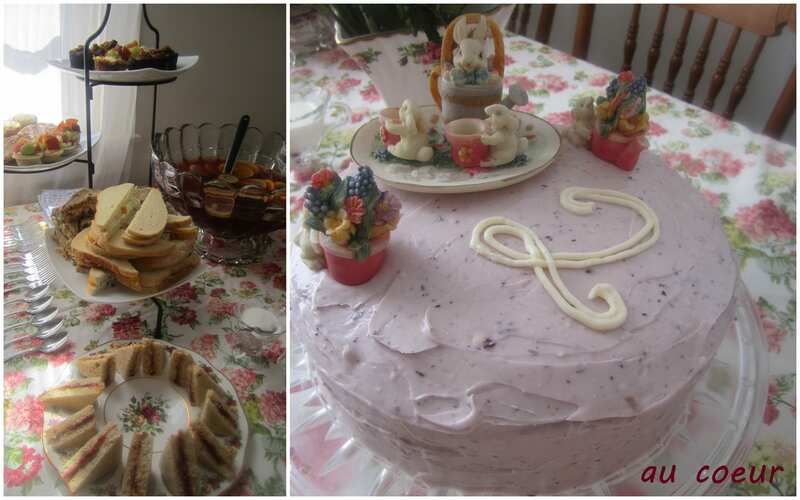 The bunny tea set I had in my room as a little girl; it worked as the perfect cake topper. (By the way, if you’re wondering, we gave Nora an extra candle to “grow on”.) 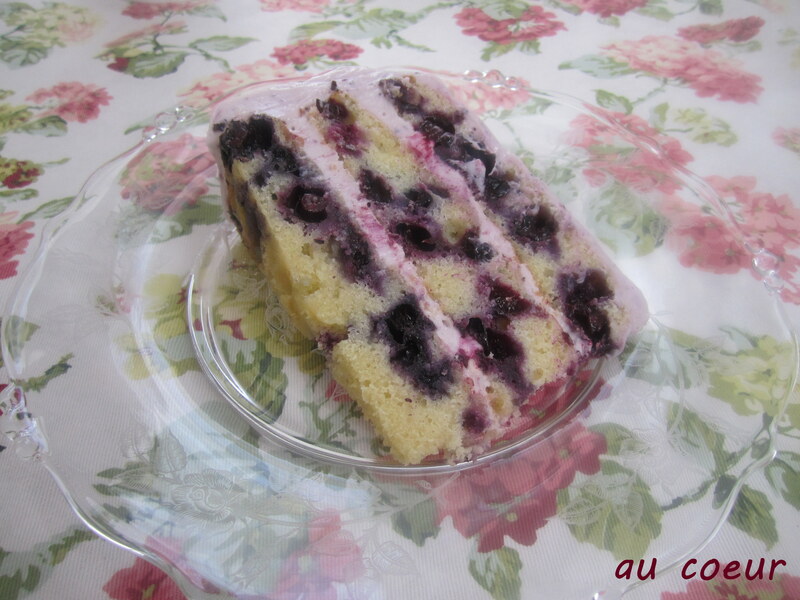 The cake was blueberry-lemon with a cream cheese frosting (which I added a bit of pureed blueberry to for color). There’s a recipe coming, I promise, and if you live on island and want to try a slice, let me know…we have a lot left over that I shouldn’t eat on my own! 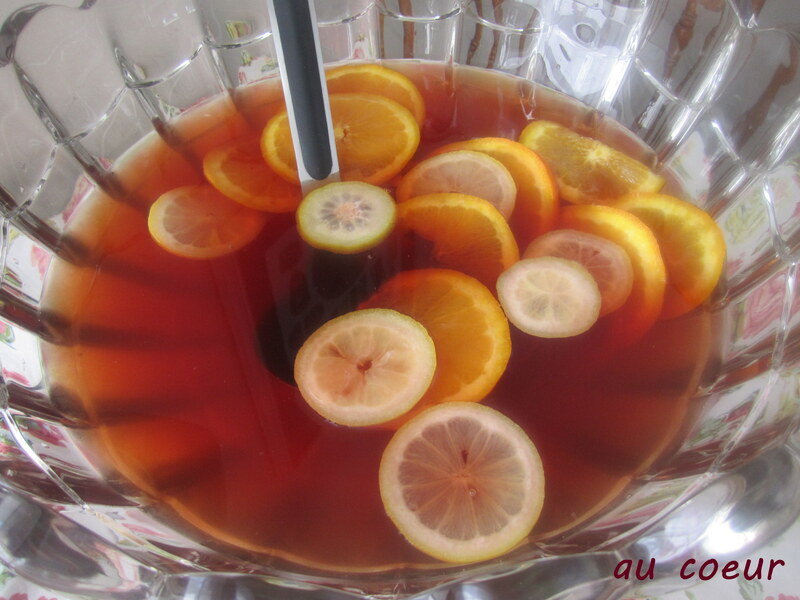 The night before, I brewed a large batch of lemon zinger tea, lightly sweetened and chilled it for use as a punch. Adding a few frozen lemon and orange slices was all it took to look party-worthy (and stay cold). Of course, we had hot tea available, but the lemon zinger “punch” was so good that’s pretty much what everyone had to drink. 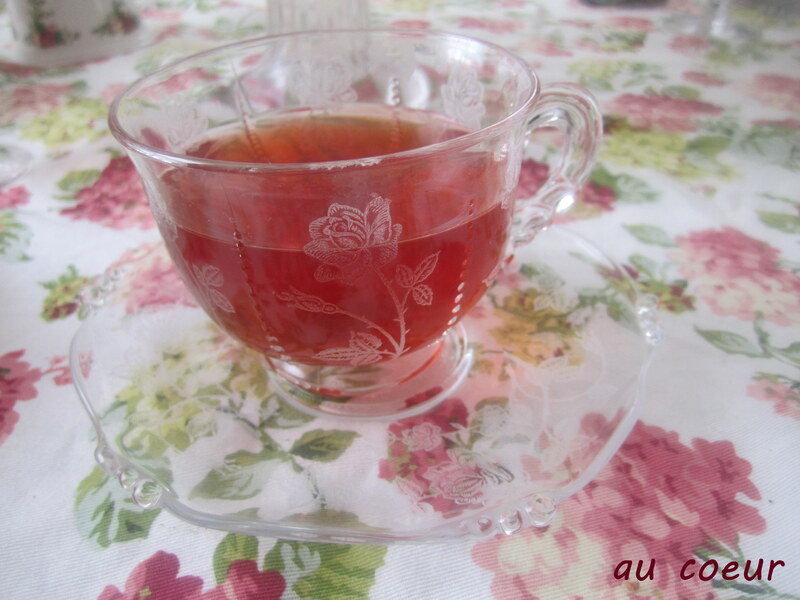 The tea party was also the perfect opportunity to bring out my great-grandmother’s rose crystal (for the grown ups!). My grandmother passed it on to Chris and I as a wedding gift and this was the first time we actually used it. It was the perfect addition to the party, and I knew both grandmothers would have approved. 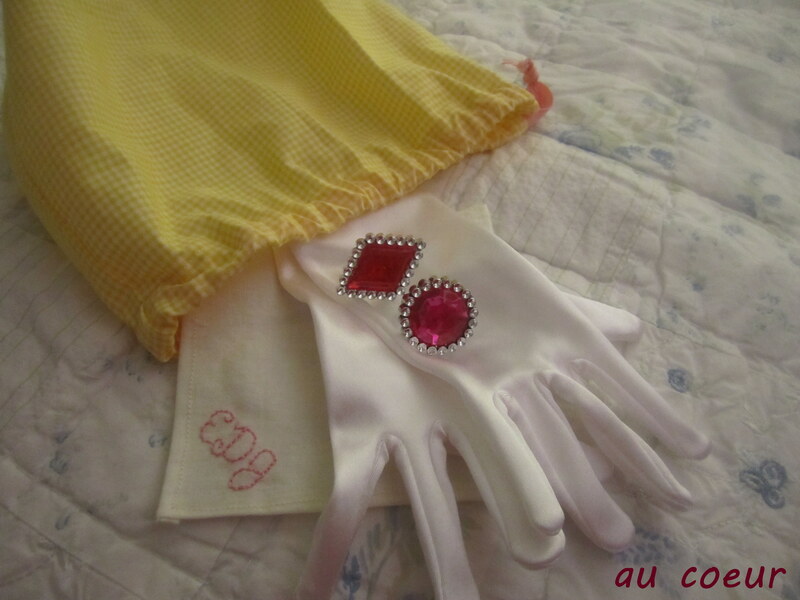 For favors, I made little bags for each girl loosely based on this tutorial, and put in a pair of white gloves and some rings. I didn’t finish monogramming everyone’s hankies, so they are going out in the thank you notes. 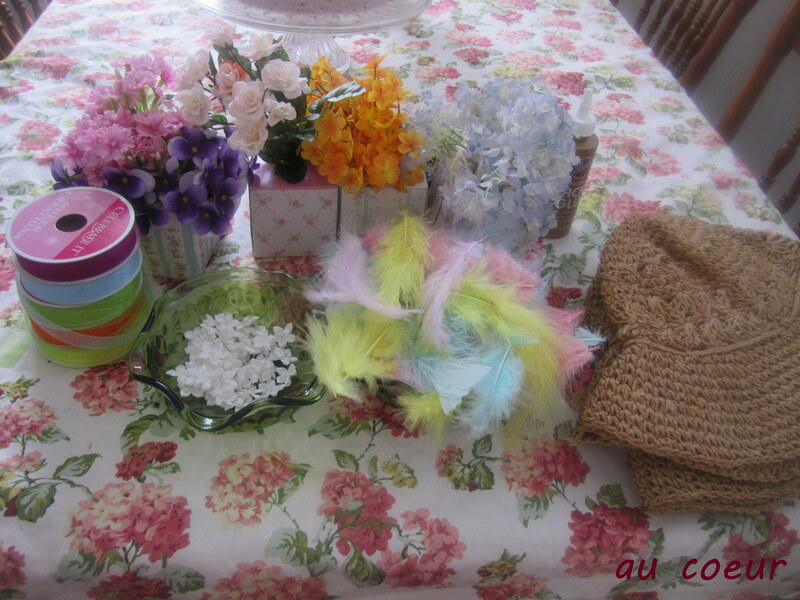 We also had a craft: hat decorating! Obviously more for the mommies than the toddlers, but I couldn’t resist. I did have a momentary freak out that morning when I realized I had accidentally bought the wrong size hot glue sticks while off island, and Chris couldn’t find any anywhere (one of the not-so good things about our little island is limited shopping), but we made it work just fine with the tacky glue on hand and we made some pretty fabulous hats. Unfortunately, I didn’t try to get a picture of all four girls until it was too close to the end and everyone was pretty tired, so it just didn’t happen. You’ll have to believe me that they all looked ridiculously adorable. 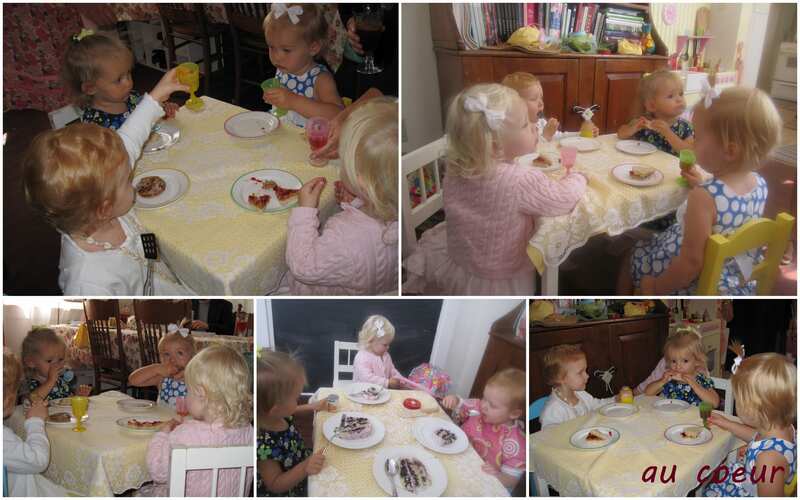 There was lots of fun eating and drinking, playing with Nora’s new play kitchen and in her room. Of course, now that Nora understands about gifts, we can only hold her back from the presents for so long, so there was some present opening and new toy magic, too. I couldn’t have been happier with how the day turned out and I know Nora just had a wonderful time, which is really the only thing that matters. 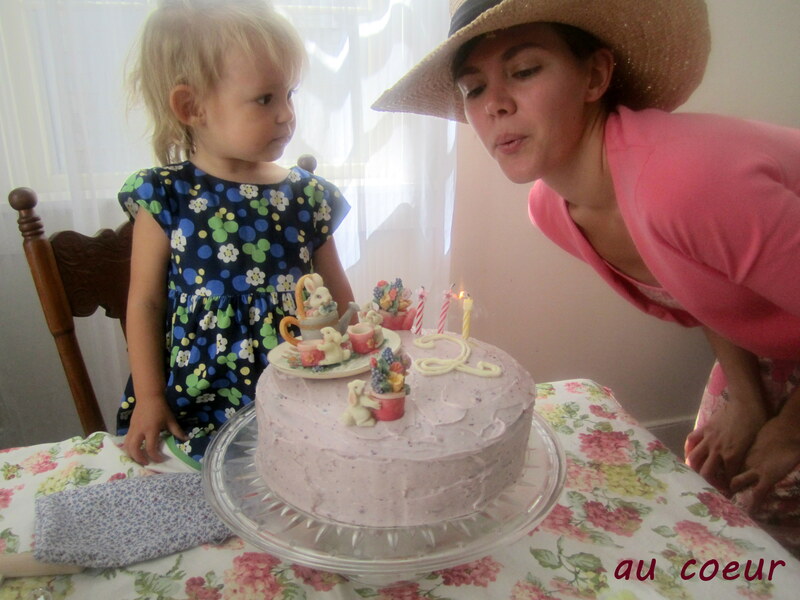 I still can’t believe my tiny baby is two, but there couldn’t have been any better way to celebrate the unbelievable. P.S. A big thanks to my friend Jess, who took many of the pictures you see here, which allowed me to be in them! Beautiful!!! 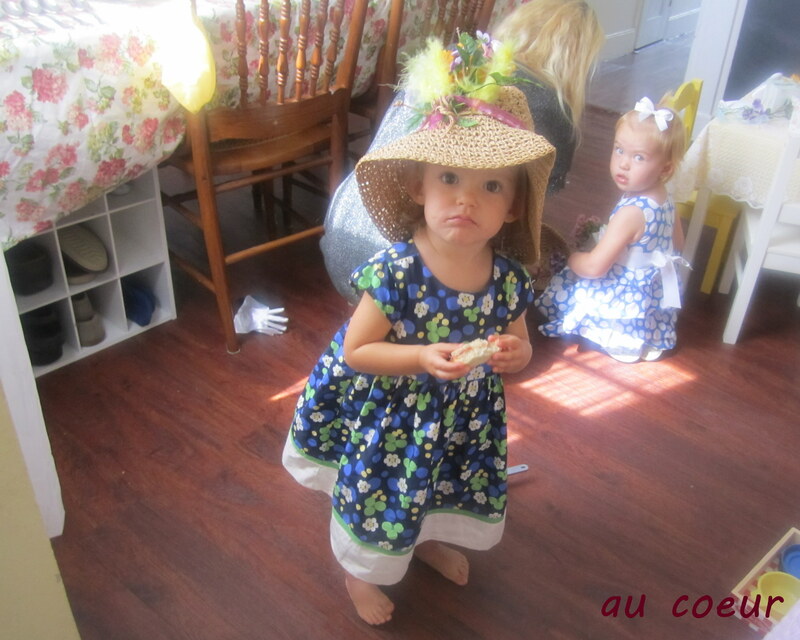 Treasure the memories forever… Happy 2nd Birthday Nora! Everyone looks like they had a great time. Glad to see you that used the hydragena table cloth. I love Chris as the Mad Hatter. 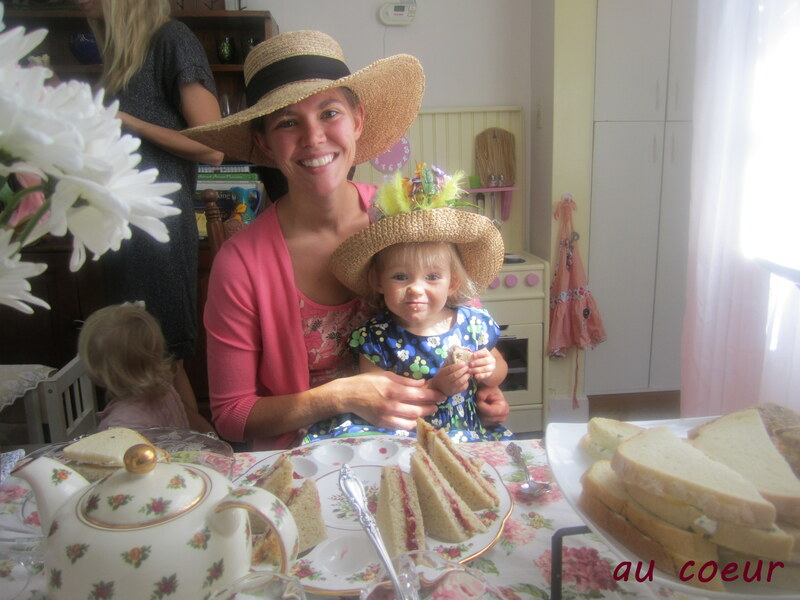 We had the most wonderful time at your Birthday Tea Party !!! The food was very yummy…I loved the Birthday cake. Decorating the hats was fun too. Thank you for having us !!! Aww, thanks! We were so happy you could come. See you next Tuesday at the playground! This whole set up is sooo magical!!! Happy birthday to Nora! Oh my! That looks like a fantastic party 🙂 All of you are looking splendid. Good job! !